I had surgery on Monday and can’t fish for about another week or so….It is torture with this weather being as nice as it is. That being said, here is a solid clip of a carp rising from last weekend. Parker and I ended up hitting the potomac today after a brief stop in the canal. The canal ended up with one missed carp and a lot of good carp footage. 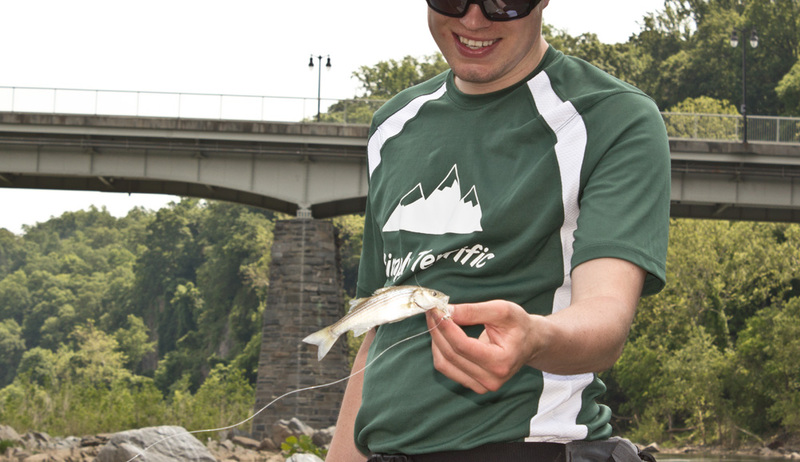 The potomac proved to be more productive. Countless stripers and even more perch (not stoked), hickory shad, a mystery shad, largemouth bass, and several snakehead sightings. Stripers ranged from as small as a couple inches to a few who came close to maybe 18 inches. I was really impressed with the dedication I saw at the river. 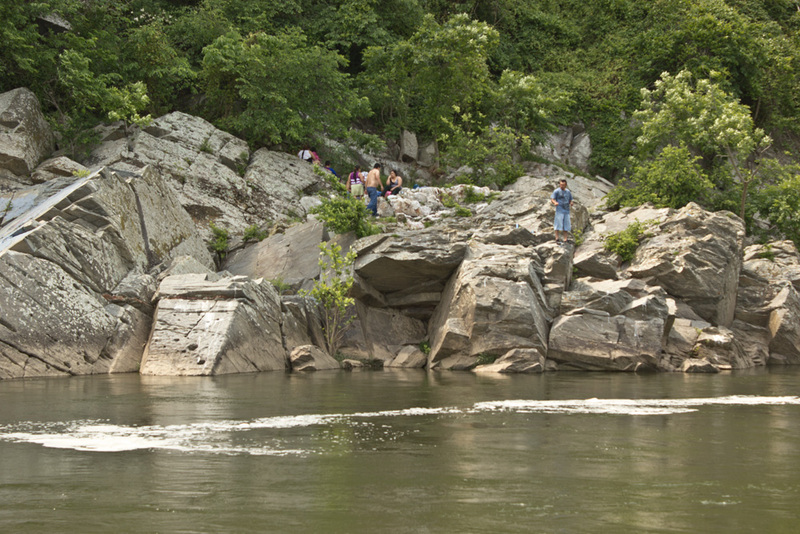 On the Virginia side, I actually saw some repel down a ledge with nets (no rods) to fish. Very impressed. Here are a couple screenshots and images from the day. Threw together a short clip from the past year. It includes footage from Goodnews, Belize, and DC. Will try to do more of these in the future. The first 2 sections were filmed on a gopro (and not very well) and the last is with a Canon t2i. Enjoy! Hackleheads 1 from Charlie on Vimeo.